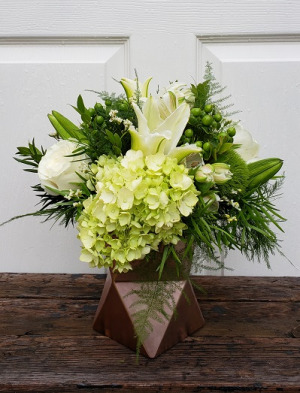 We love this classic white and green mix! 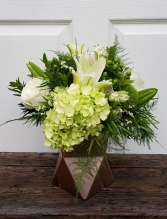 White Oriental lilies, mini green hydrangea, white roses, green hypericum, white alstroemeria, and green trick complement one another beautifully in a rose gold geo vase. 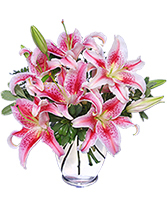 This vase of gorgeous Stargazer lilies from AUBURN FLOWERS & GIFTS is beautifully fragrant and a special reminder that love is in the air! 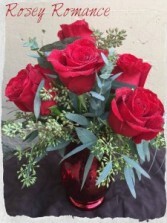 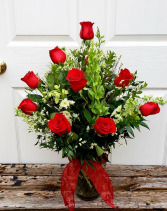 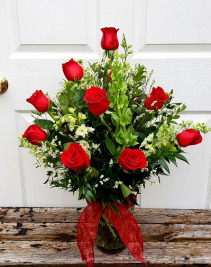 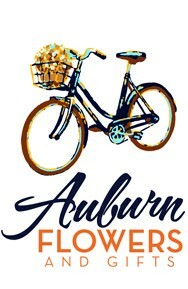 6 big beautiful classic red roses, accented with seeded eucalyptus and soft greenery. 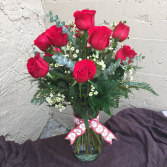 The red mercury glass vase makes it over-the-top romantic. 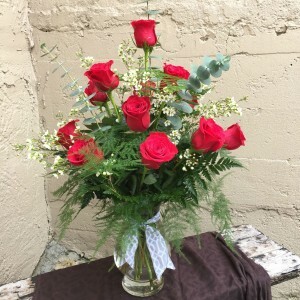 "ALL OF ME...LOVES ALL OF YOU"
This mix is all romance! 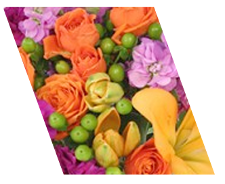 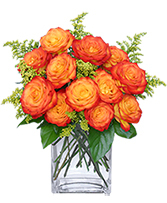 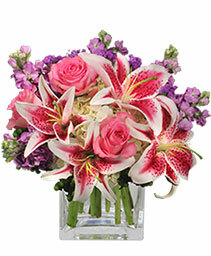 The Free Spirit roses in this arrangement are show-stoppers. 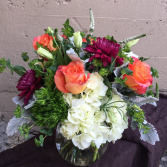 They are designed together in a low profile bowl vase with white hydrangea, marsala purple cremon mums, dusty miller, french bupleurum, and touches of veronica. 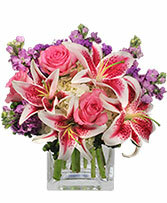 Elegance all the way!